At the start of Super Smash Bros. Ultimate, you have a roster of just eight lonely fighters—or so you think. 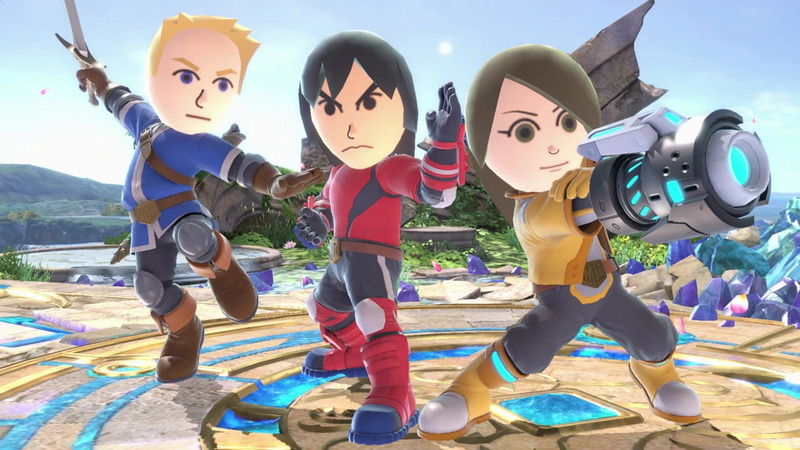 There are actually three more fighters available right away that not many people know about: The Mii Fighters. Mii Fighters are broken into three different characters, each with their own weapons and customizable movesets. These fighters are the Mii Brawler, Mii Swordfighter, and Mii Gunner. To unlock them as an option in your starting roster, all you need to do is create them. That’s right, these are characters that you need to create using your own personal Mii or one of the many guest ones available. To unlock a Mii Fighter, just complete the following steps. 3) Click “Create” and choose the Mii you want to use. 4) Pick whether you want it to be a Mii Brawler, Swordfighter, or Gunner. 5) Customize it with clothes and choose its moves. The Mii will then join the fight the next time you go into the character select screen. You’ll be asked to choose which one you want to use if you made multiple fighters.